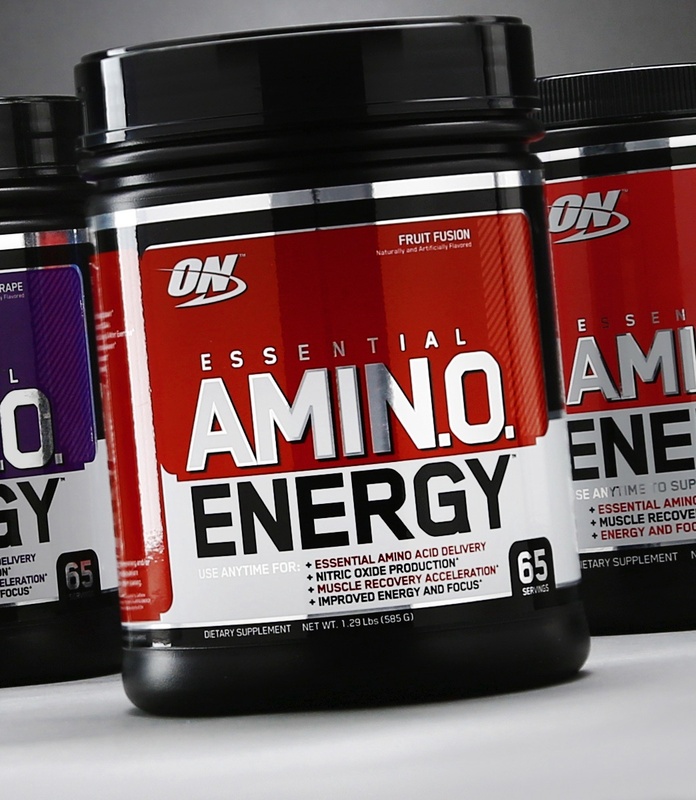 ESSENTIAL AMINO ENERGY contains 50 mg of caffeine per scoop, so do not consume after 5:00 PM if you have difficulty sleeping. ESSENTIAL AMINO ENERGY also contains beta-Alanine and may cause a temporary tingling sensation on your skin. This is normal. With continued use, the intensity of the sensation will decrease or disappear. 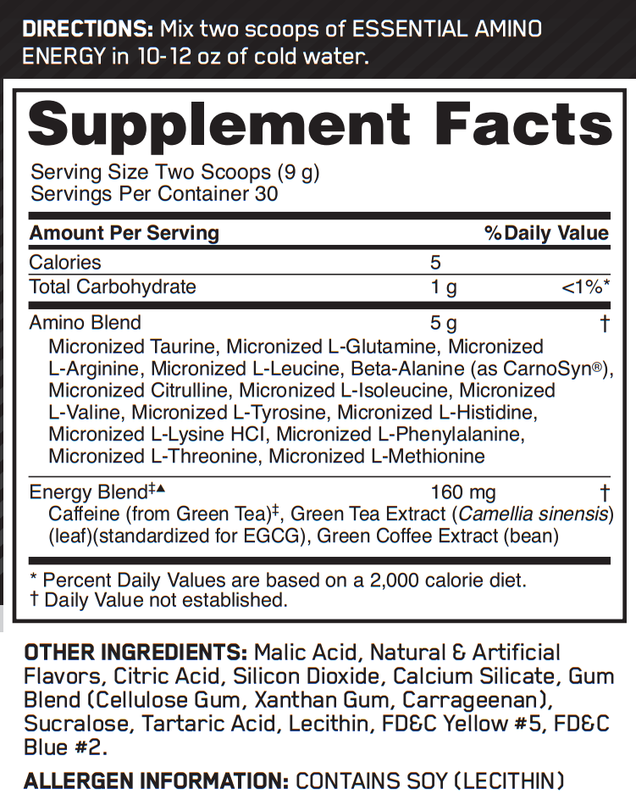 Also, some people may have a sensitive stomach and will not tolerate green tea extract well on an empty stomach. If this is you, be sure to take with meals.